Tonight’s the night! 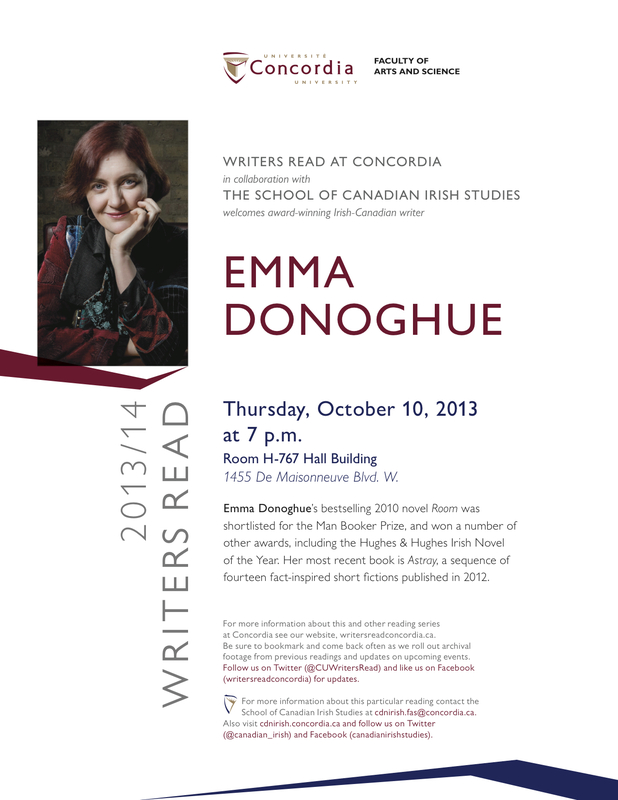 Come by the Henry F. Hall Building, Room 767 (1455 De Maisonneuve W. Blvd) tonight at 7PM for a public reading by acclaimed author Emma Donoghue. You won’t regret it!